Presented by Philip Duff, enjoy a tasting while gaining in-depth knowledge about vermouth - including: history, production, category leaders & drink application. Balena Amaro Launch tasting 3/15. Cocktails with CH Amaro-Balena, CH Amaro and CH Fernet Dogma. Shochu Seminar and Competition. Win a trip to Kyushu Japan. Shochu cocktail competition. Grand Prize full expense trip to Kyushu Japan. Trade only. View details. The Tenzing Coupe Cocktail Competition. We’re honored to be hosting 2nd Annual Tenzing Coupe Cocktail Competition in partnership with The Dogma Group. Join us for our annual Spirits, Sake, Beer and Cider portfolio tasting. Also, details on the 2nd Annual "The Tenzing Coupe" cocktail competition. We're going to NOLA for Tales of the Cocktail. Check out the full schedule of events with Tenzing producers. Educational sessions, tastings, parties, lunches and spirited dinners. 2015 is the Summer of Rum! Head to the Binny's Lincoln Park Tasting Room in this exclusive event to taste the largest selection of rum available in the market today. Featuring practically every rum producer out there, from Caribbean classics to local craft distillers dabbling in the art of rum. Parce's Parson's Party! Parce Rum's anniversary party on Monday for the trade. After an exciting year in Chicago, Parce would like to celebrate with you at Parson's in Logan Square. They will be serving bites and rum slushies on the beautiful outdoor patio! 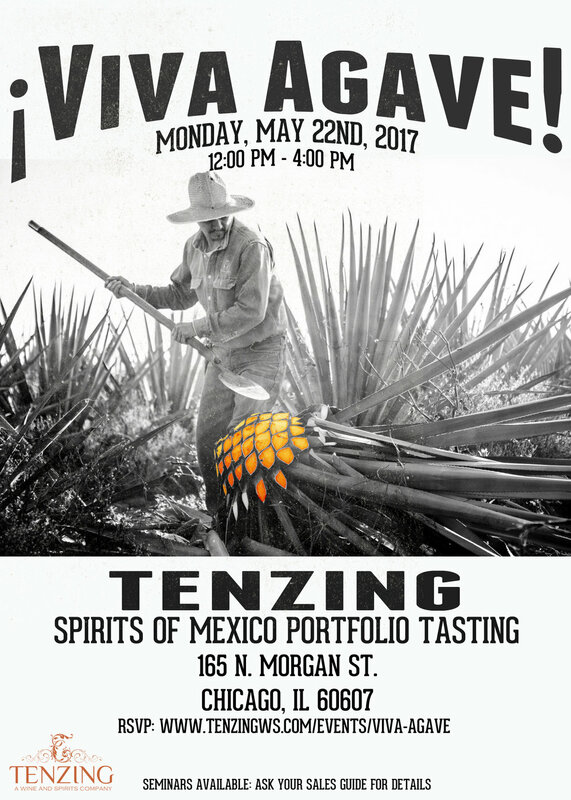 Join us for an industry tasting at TENZING A Wine & Spirits Company where you'll be one of the first humans in Chicago to taste Novo Fogo's newest cachaças. Cachaça Empresário Luke McKinley will be in town from Seattle to share Novo Fogo's latest barrel-aged expressions and to answer any questions you might have about organic cachaça from the southern Brazilian rainforest.